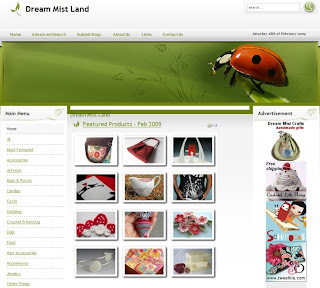 Recently my shop was listed at Dream Mist Land... a lovely website which introduces handmade shops and allows buyers to review them. "This is a place for handmade lovers to share their comments about handmade shops on Etsy, DaWanda, eBay, 1000Markets, ArtFire or even sellers own web sites. This provides an alternative to shop for handmade products. 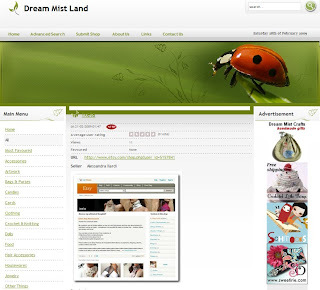 You can reach the shops of your style by the search function on this site. Registered users can submit shops which are not on this site and post comments to the shops. Please come to have a look and submit your comments!